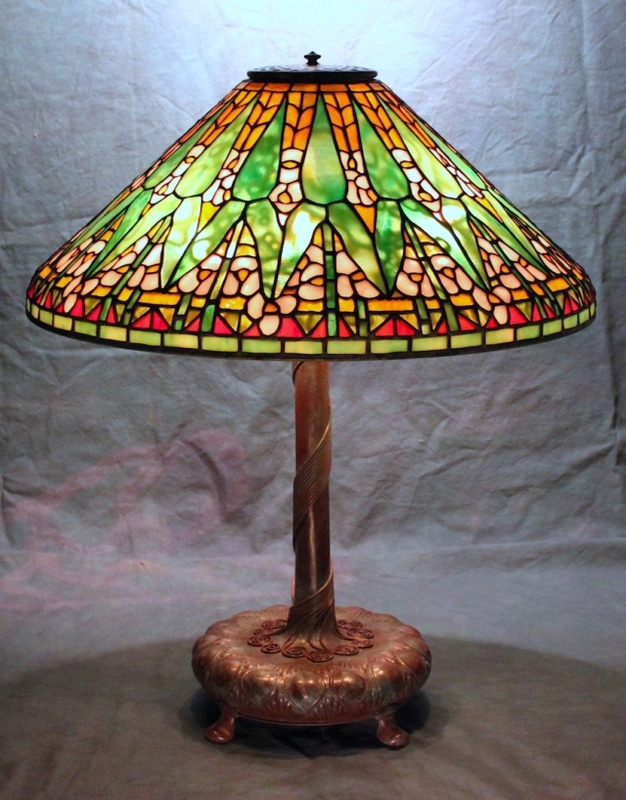 The 20″ Arrowhead shade has a distinctly arts and crafts feel to it. 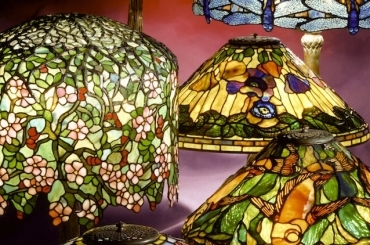 This pattern also has a fairly unique Tiffany Studios approach: while representational, the shade is also stylized and rhythmic in its execution. This strongly colored lamp begins with a sunset orange sky at the top. Delicate white flowers emerge from behind the green leaves which give this plant its common name. The prairie color theme is reinforced by the red, green, and amber tones in the lower quarter of the shade. Commissioned by a Texas client in 2011, the shade is shown on the Decorated Library base.